Get Ready for June 16 - International Domestic Workers Day! Make "My Fair Home" Every Domestic Worker's Workplace! 2016 is the fifth anniversary of our victory at the ILO for decent work for domestic workers! What will you do around the 5th Anniversary of C189? Tell us how to make this campaign a success in your country and everywhere! Singapore: A Part Of The Family? HOME argues that ill treatment of domestic workers goes beyond physical, sexual and psychological abuse. Women migrant domestic workers – who make up the majority of domestic workers – face additional discrimination in the legal system. The Kafala (guardianship) system, enforced in Lebanon and the Gulf monarchies, ties the domestic foreign worker to a specific employer; the worker becomes illegal should she quit her employer, placing the worker in a particularly vulnerable situation. “Dogs and Indians not allowed,” proclaimed a notorious 1930s signboard at the Pahartali European Club in the Chittagong region of India (now in Bangladesh), when the country was under British rule. 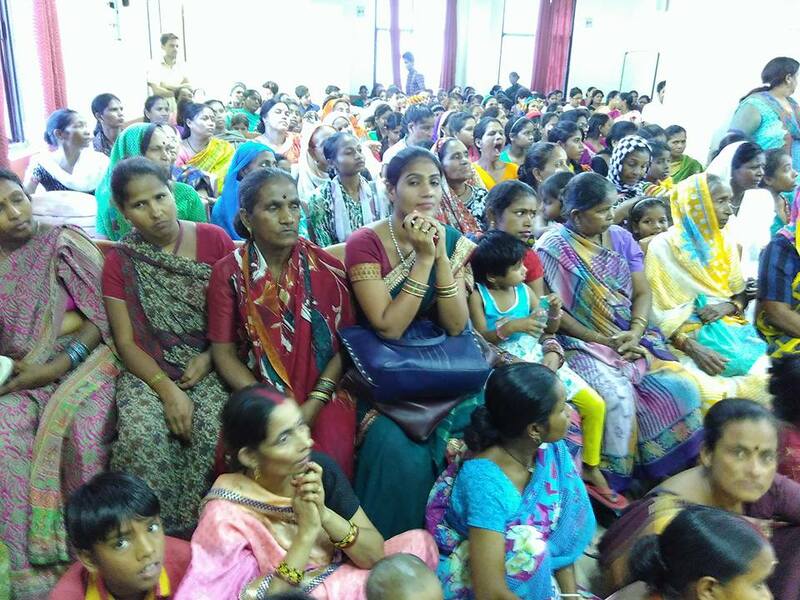 Today, in the 21st century, in recreational and residential spaces throughout Indian cities, there’s an invisible sign which says: “No domestic workers allowed”. In honor of International Domestic Workers Day (IDWD), NDWA offers these materials on conducting effective and systematic outreach. Let’s use International Domestic Workers Day to build our movement! This year, NDWA has worked with artist Rommy Torrico to create a beautiful image lifting up domestic workers. We hope you will use this image in posters, flyers, and social media to invite domestic workers to join our movement and to raise consciousness of anyone who knows a domestic worker about the value and dignity of our work. International Domestic Workers Day provides a great opportunity to lift up the issues and voices of domestic workers - it’s inspiring for our members, it’s interesting to the media, and it’s a great moment to get out there and communicate with our communities! 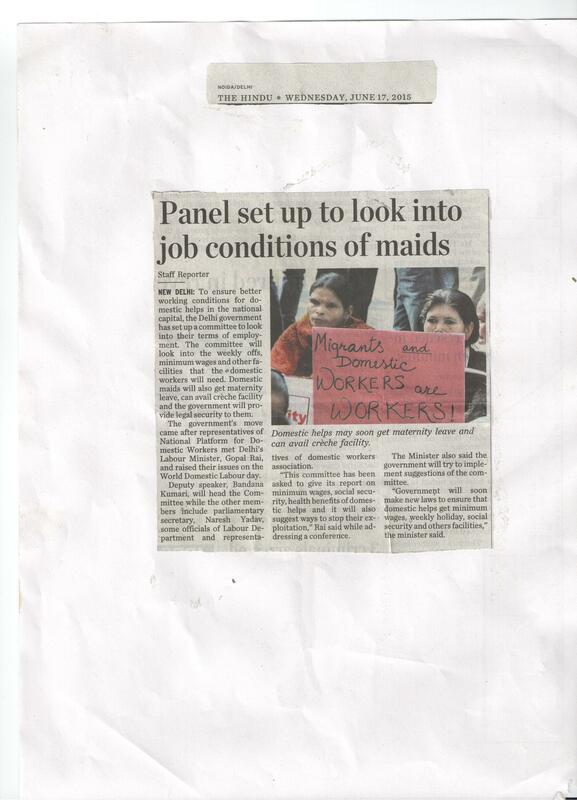 Domestic Workers different locations from Delhi, celebrated International Domestic Workers day jointly. International Domestic Workers Day Celebration!!! 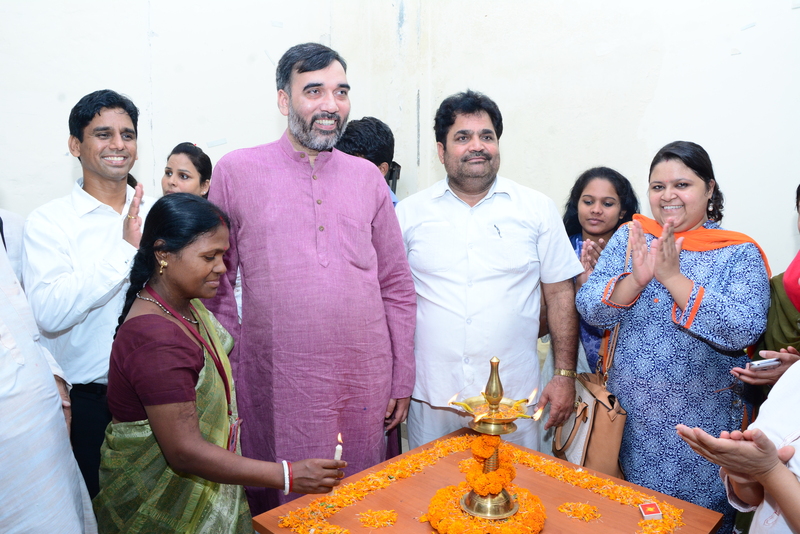 Labour Minister of Delhi Gopal Rai, Deputy Speaker Bandana Kumari and Parliamentary Secretary Naresh Yadav were present. The Labour Minister has made commitment to constitute a committee to look into the issues of domestic workers across the city. Deputy speaker Bandana Kumari will head the committee that will have members from the labour department and members from National Platform for Domestic Workers.